In speech, filler words are short, meaningless words (or sounds) we use to fill the little pauses that occur while we decide what we’re going to say next. They’re the ums and uhs and ers that litter our conversations whether we like it or not. But although these little words don’t add any meaning to your statements, they do perform a function in speech. They allow you to take a second and think about what you’re going to say next. They let others know that you’re not quite finished speaking yet, even if you’ve paused for a moment. Filler words take a different form in writing. Few of us actually write out “uh” or “um” when we’re composing an email. Instead, those little pauses manifest as unnecessary adverbs and empty phrases that add length but not substance to what you’re trying to say. Fortunately, written communication gives us the opportunity to edit ourselves before we send our message out to the world (or our boss). 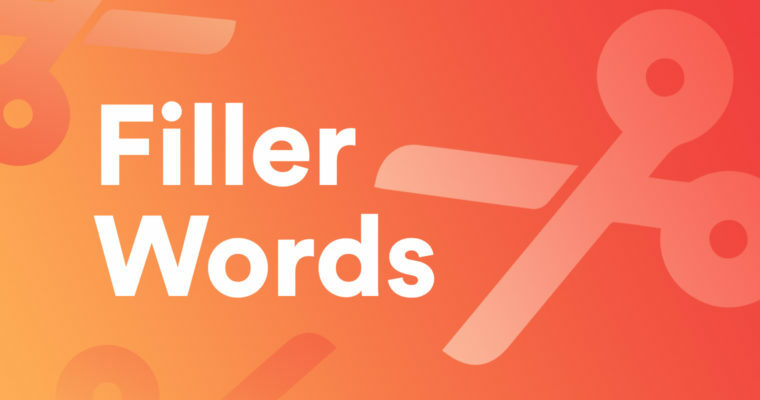 Read on for some of the most common filler words that might be weighing your writing down. Basically is a filler word that appears both in speech and writing. We often use basically when we’re exaggerating for effect or making a statement that is generally true but may have some rare exceptions. Sometimes basically is an important qualifier, but often, it’s clear from context that you’re not making a claim of absolute truth. Okay: Basically, I could eat ice cream for any meal. Better: I could eat ice cream for any meal. Here’s a tip: Grammarly can help you cut filler words from your writing so you can make your point clearly and concisely. Learn more. Check out some of your recent emails. Do you tend to use the word just a lot? Is it just a way to make things sound more polite? Do you like to just follow up on things? Is there anything you were just wondering? Try deleting this one from your sentences and seeing if there’s really a difference in meaning. Most of the time, you’ll find there’s not. Okay: Could you just send me that file when you have a moment? Better: Could you send me that file when you have a moment? We reach for adverbs like very, greatly, and highly to add intensity, but the truth is that these words are so overused that readers tend to gloss right over them. You’re better off picking a more vivid word to describe what you’re talking about. Okay: The new pizza place downtown was very busy this afternoon. Better: The new pizza place downtown was bustling this afternoon. If it’s really needless to say, why say it? If it does need to be said, don’t undercut yourself! Okay: Needless to say, my haircut looked awful. Better: My haircut looked awful. We tend to fall back on this phrase when we want to make a point but we’re not sure if others will be happy about it. Leave it out and your sentence will be more concise and sound more confident. Okay: For what it’s worth, we could test our idea with a focus group before moving forward. Better: We could test our idea with a focus group before moving forward. If it’s an opinion that’s coming from you, we know it’s your opinion. And calling it humble doesn’t make it so. Okay: In my humble opinion, moving to a new city is equal parts exciting and stressful. Better: Moving to a new city is equal parts exciting and stressful.